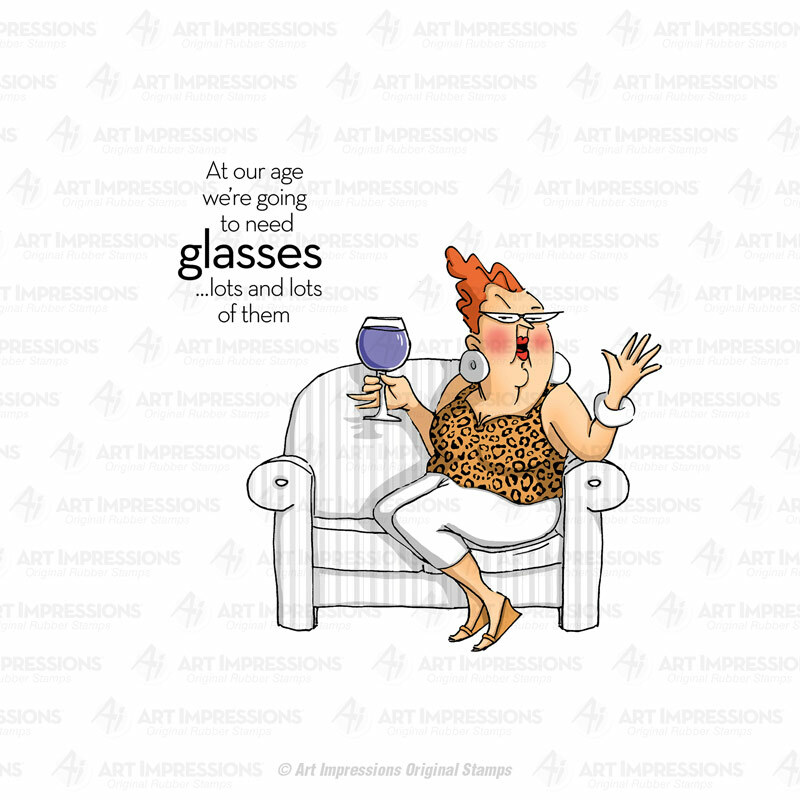 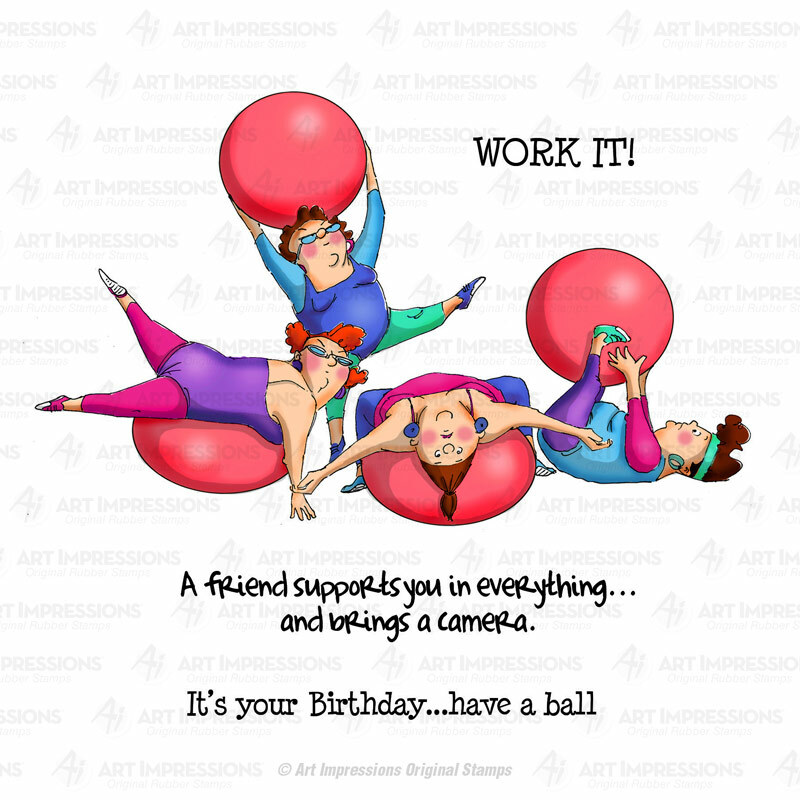 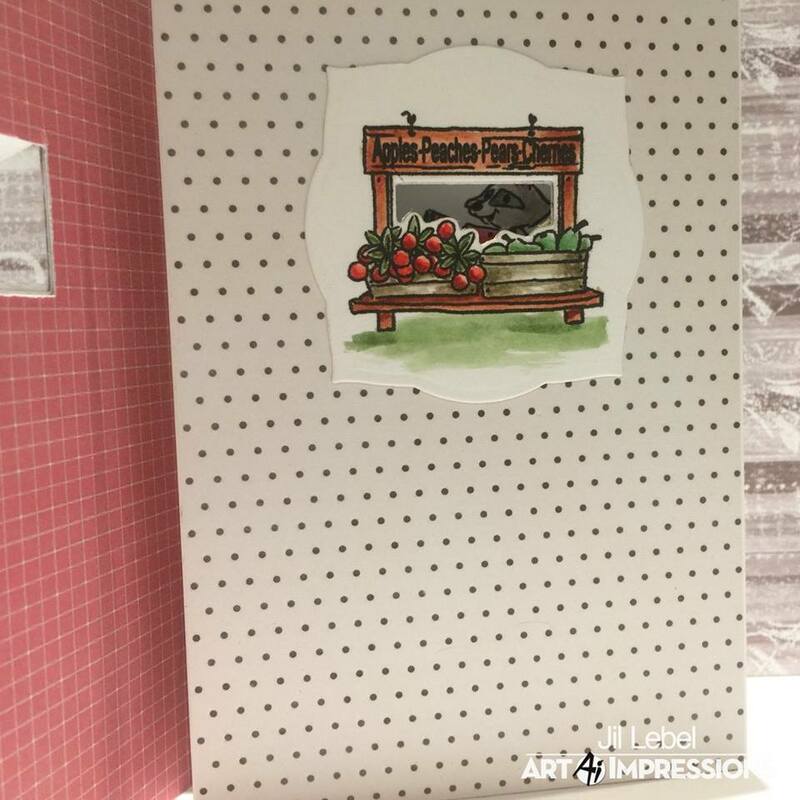 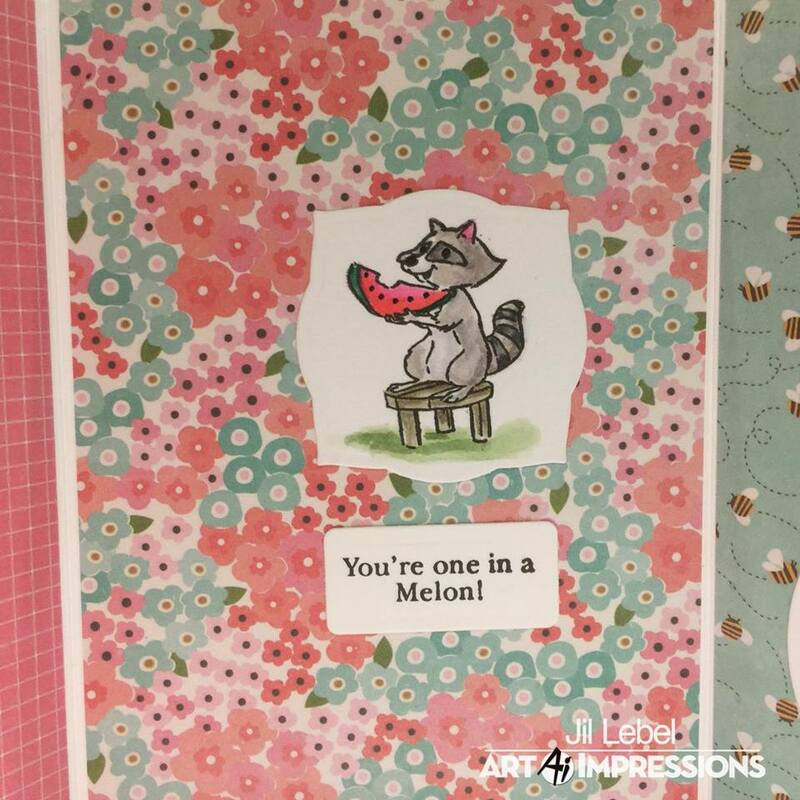 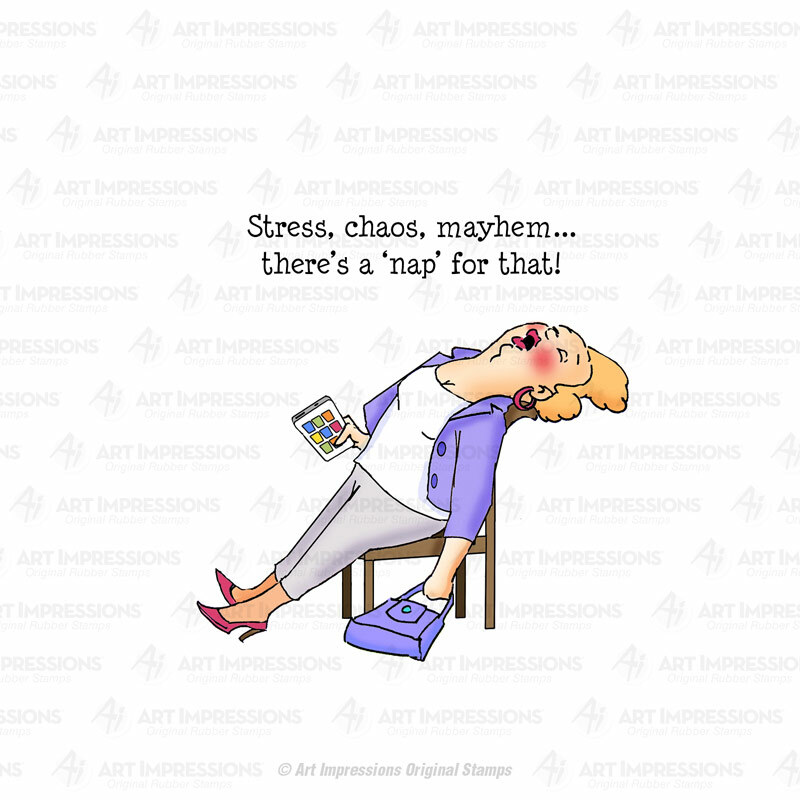 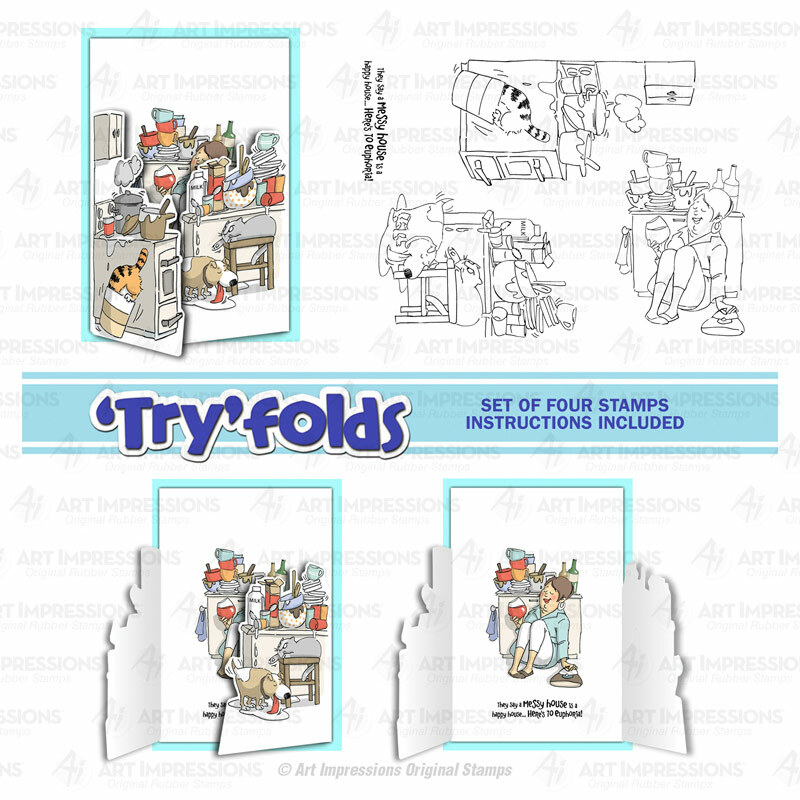 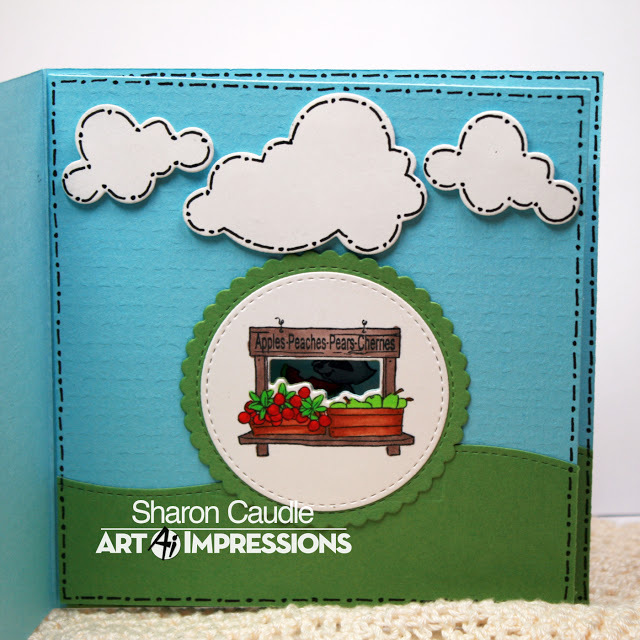 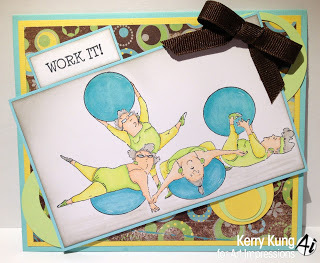 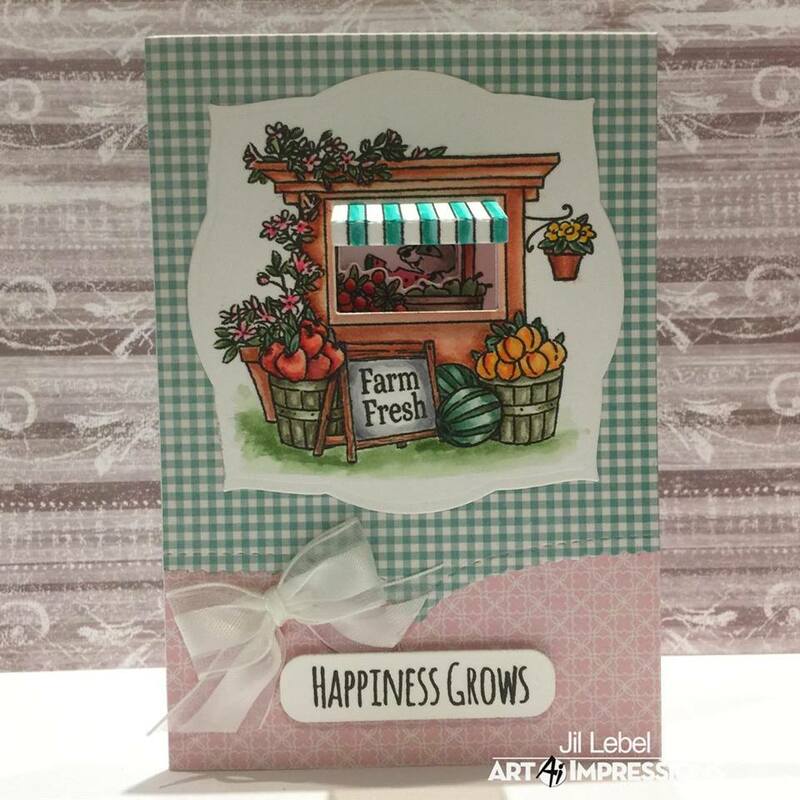 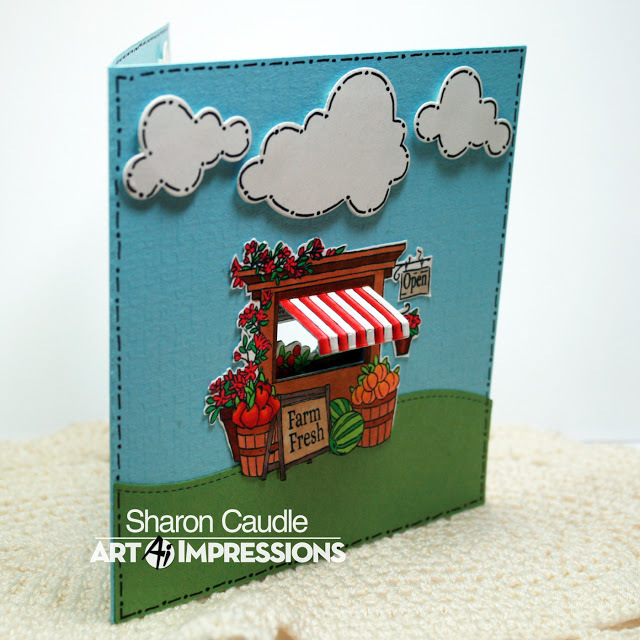 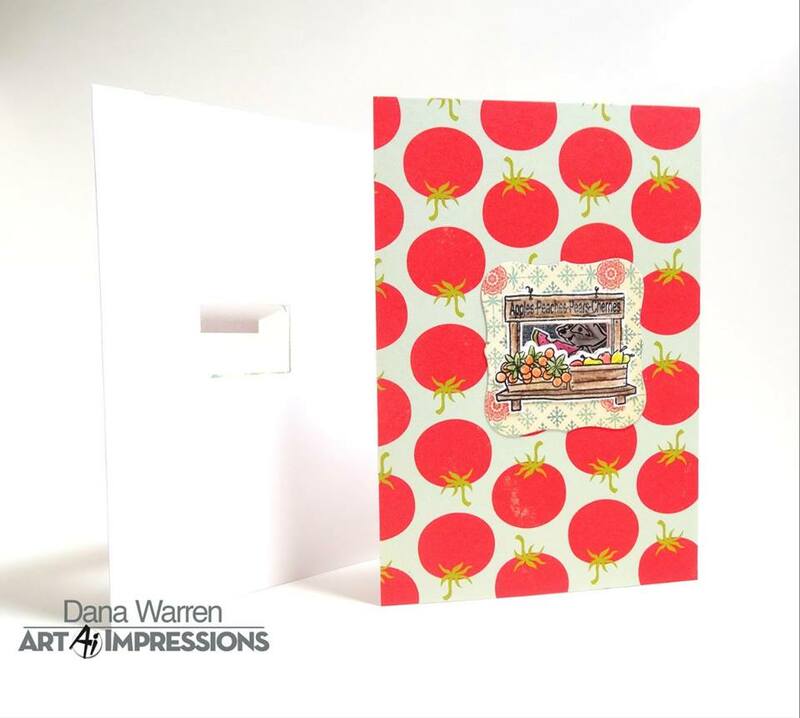 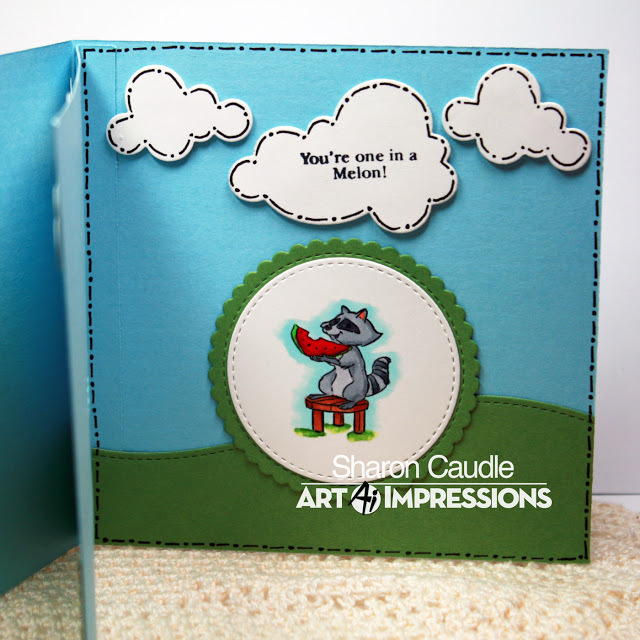 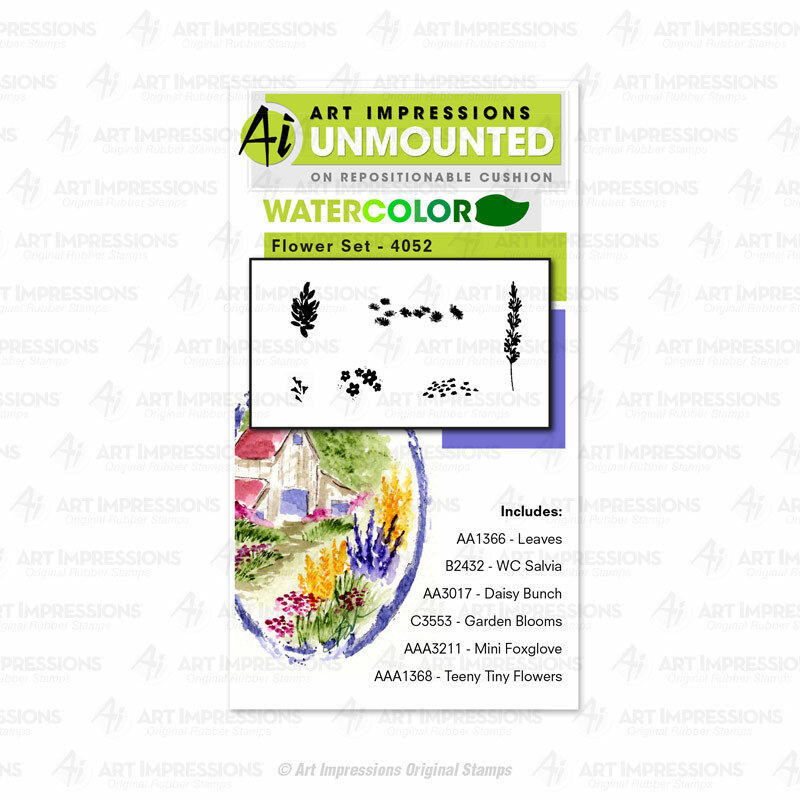 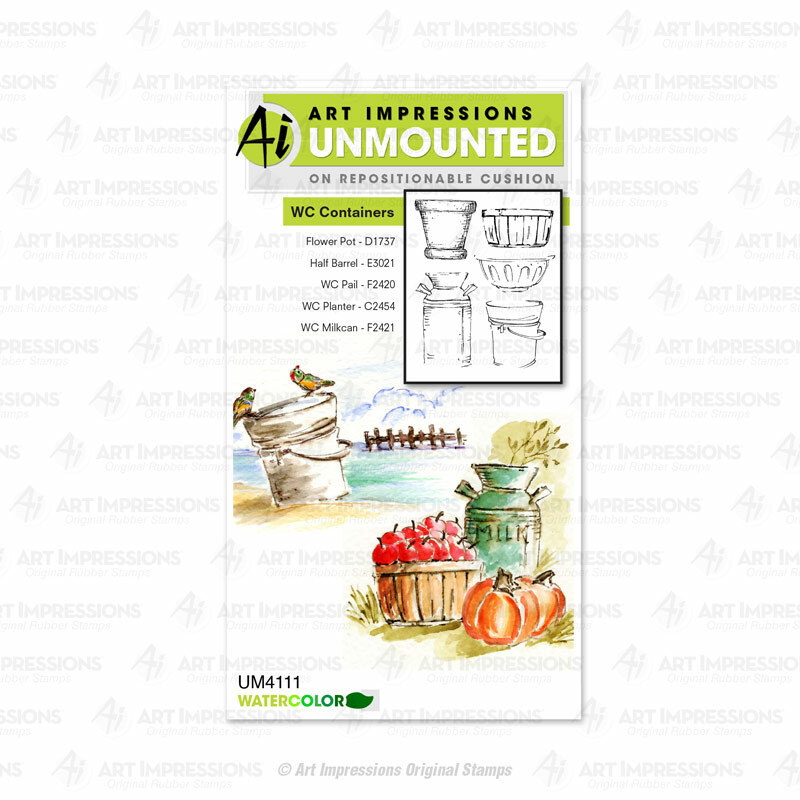 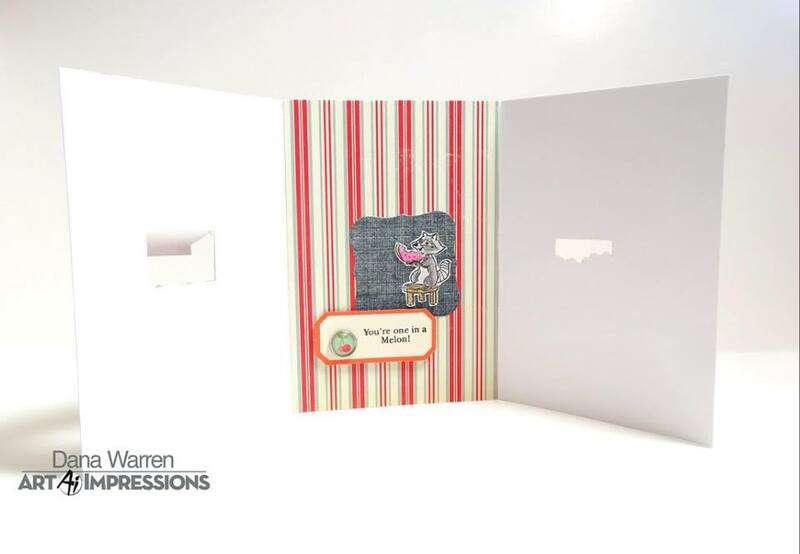 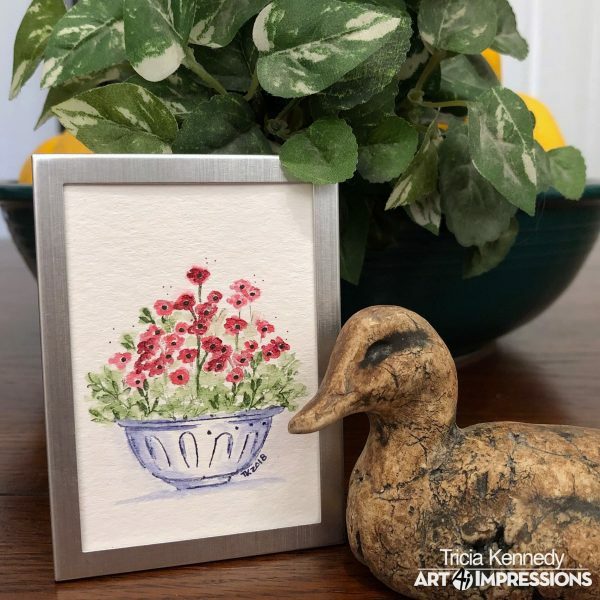 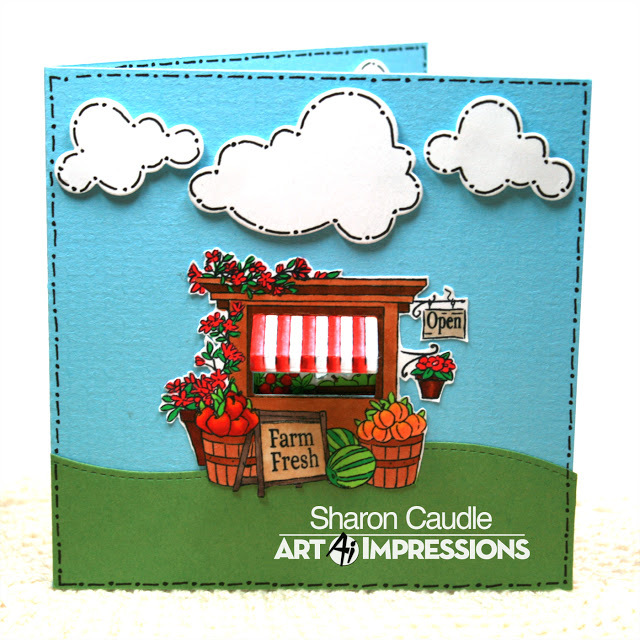 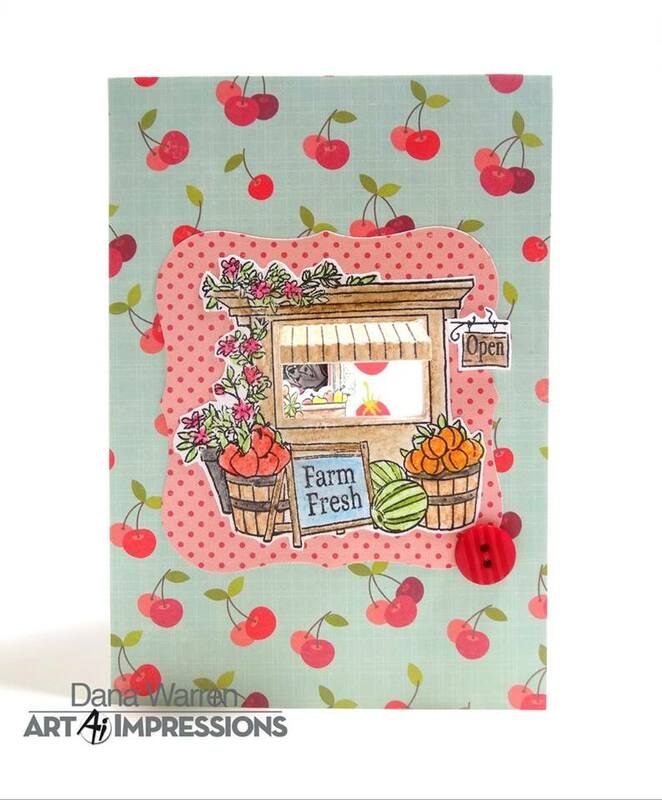 Create a three-paneled card to reveal more images as you open the card! 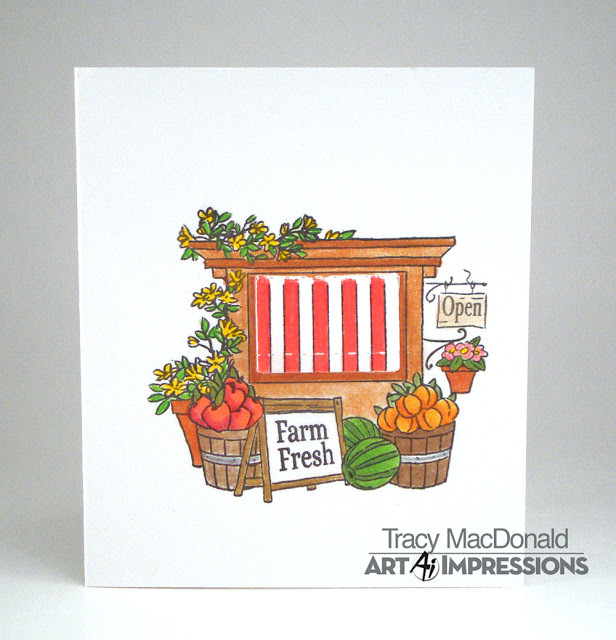 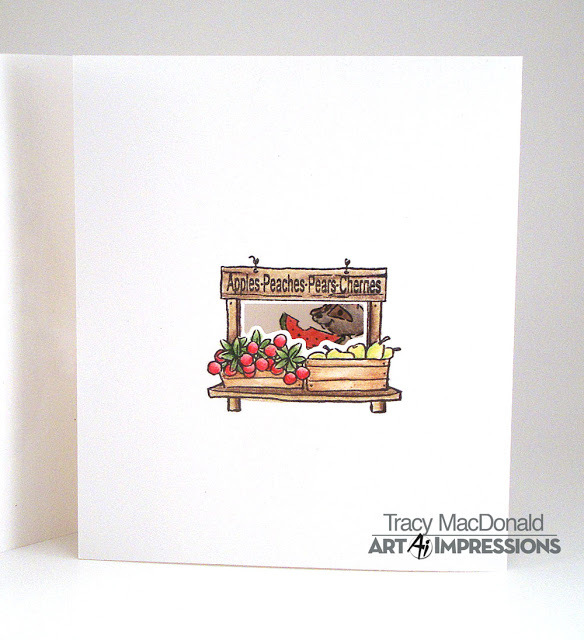 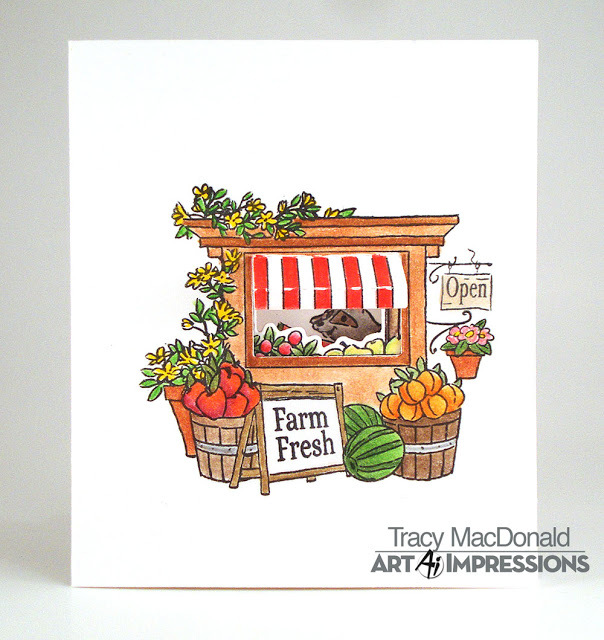 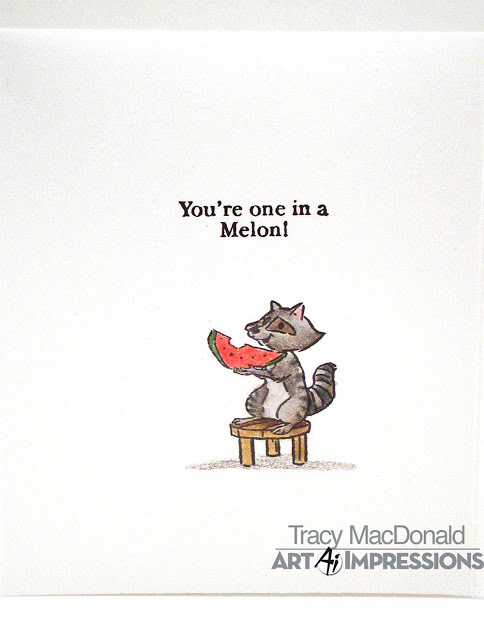 Features fruit stand with awning, shelf with apples, a raccoon eating a watermellon, and “Open Sign”. 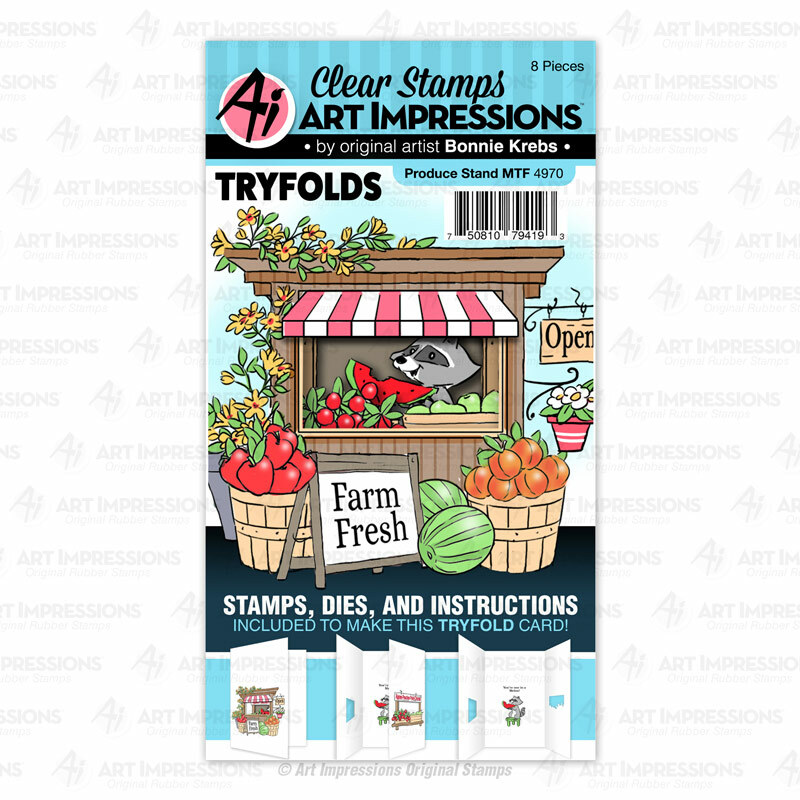 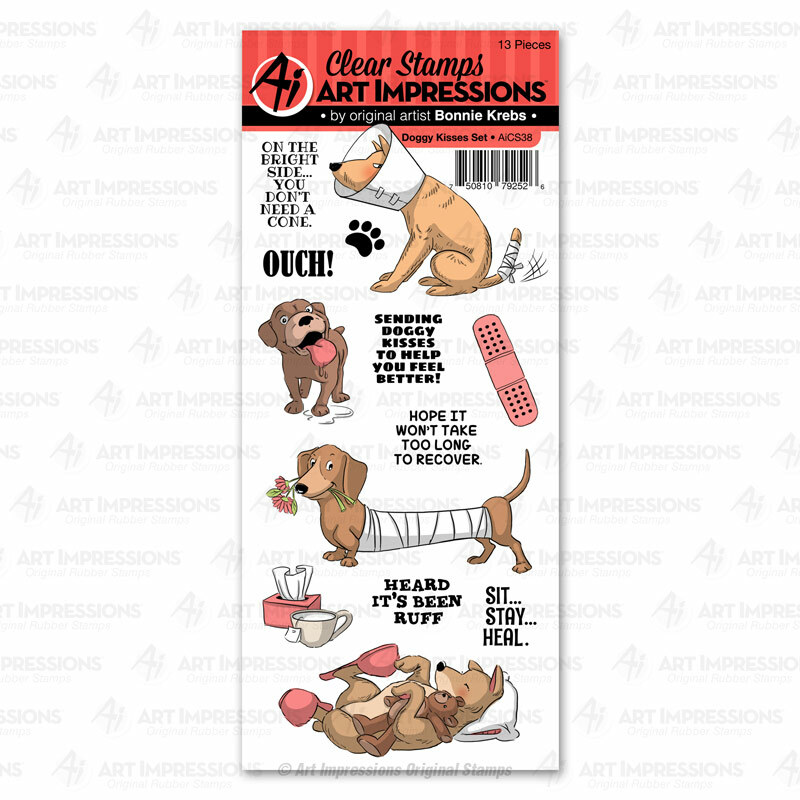 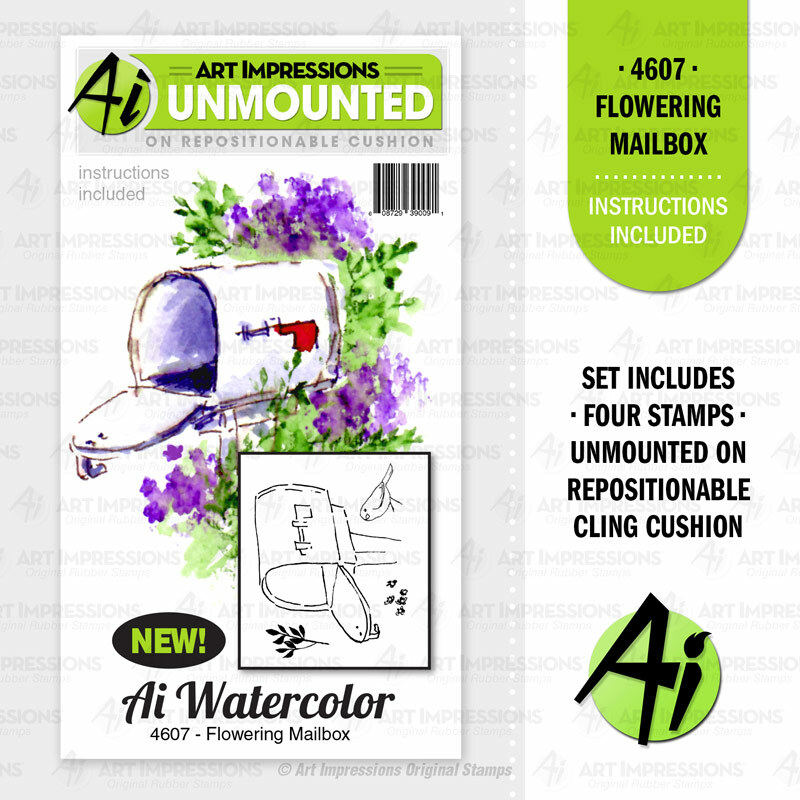 Includes clear stamp and dies to cut the openings.